A Great Pyrenees named General managed to escape a boarding facility at a Virginia vet and is on the loose. A Great Pyrenees named General managed to escape a boarding facility at a Virginia vet. 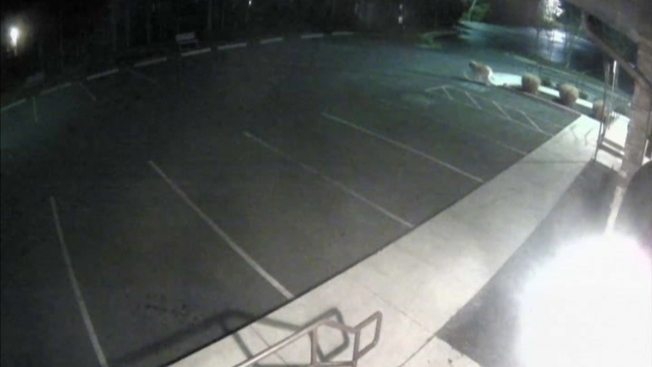 Video showed the dog apparently opening multiple doors in his bid for freedom. "Last night at 4 a.m., one of our boarders opened his run door, and managed to open the back door to the clinic to escape," said a post by the Aquia-Garrisonville Animal Hospital. Stafford County Animal Control, sheriff's deputies and animal hospital staffers are searching for him. An administrator for the hospital said General was found around 7:30 p.m. Monday. He was apparently resting in the yard of a neighbor. Great Pyrenees can weigh up to 120 pounds.